We are only a few days away from the 2017 Atlassian Summit, to be held once again in San Jose, California. We are happy to team up with Isos Technology, U.S. based Atlassian Platinum Solution Partner, as our official Linchpin partner at this year's Atlassian Summit. Linchpin is a Confluence based intranet solution, your fully personalized communication hub. Take a look at Martin Seibert interviewing Thad West from Isos at last years Summit to learn more about Isos Technology. We have since begun working on intranet leads together and Isos Tech featured Linchpin in their August newsletter. 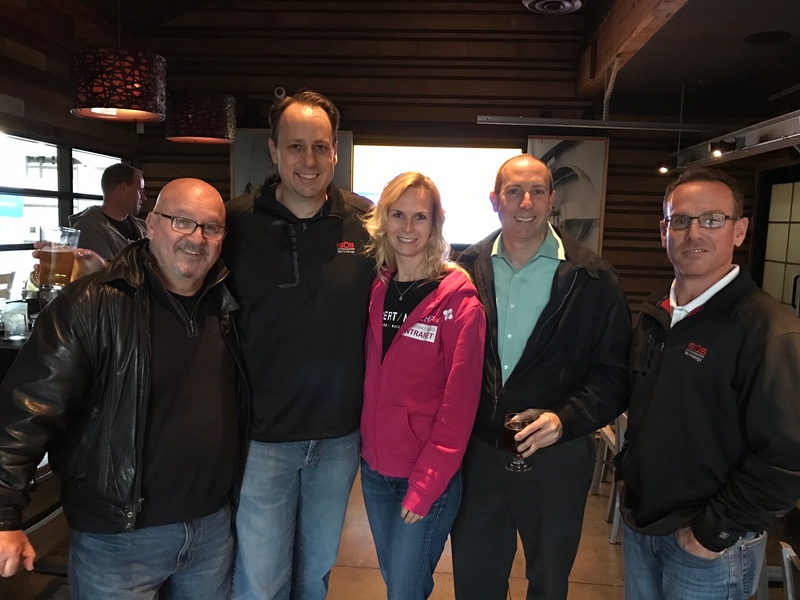 //SEIBERT/MEDIA and Isos Technologies have been visiting Atlassian User Groups in the U.S., such as the San Diego AUG earlier this year. In the picture below you see Steve Cross (Atlassian), Thad West (Isos Tech), Uta Opitz (Linchpin), Mark Livingstone, San Diego AUG Leader (Qualcomm), Danny Riley (Isos Tech). Be sure not to miss Linchpin at the Isos Technologies booth #426 at Atlassian Summit, September 12-14, 2017, at the San Jose Convention Center.